How to Copy SMS from iPhone to Google Nexus? Home > Resources > Transfer > How to Copy SMS from iPhone to Google Nexus? Get tired of your old iPhone and plan to switch to a shiny new Android phone - Google Nexus 6 or 6P? Then, you may be confused how to transfer your text messages from your old iPhone to the new Google Nexus phone. After all, the two phones are running different OSes and editing contacts one by one or using Gmail account will take you long time and much energy. Don't worry, this article is just for you here. 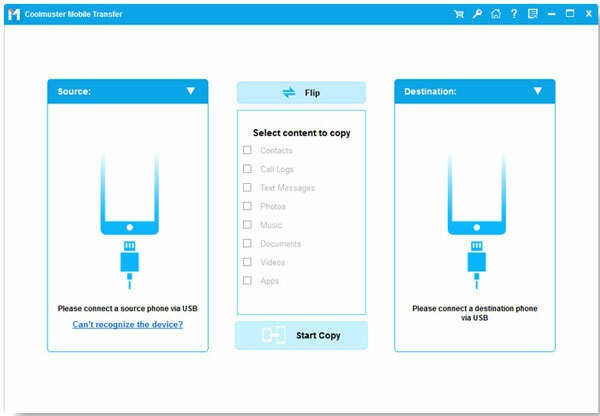 I humbly introduce the iPhone to Nexus Transfer software, a professional phone to phone data transfer tool to bring you an unexceptionable way to copy not only text messages, but also contacts, photos, videos, music, notes, app data, calendar and more from iPhone 5/6/6S/7/7 Plus/8/X to Google Nexus 4/5/5X/6/6P. It is easy for you to accomplish the data transfer just in 1 click. In addition to iPhone and Nexus, it also supports other more Android and iOS devices. 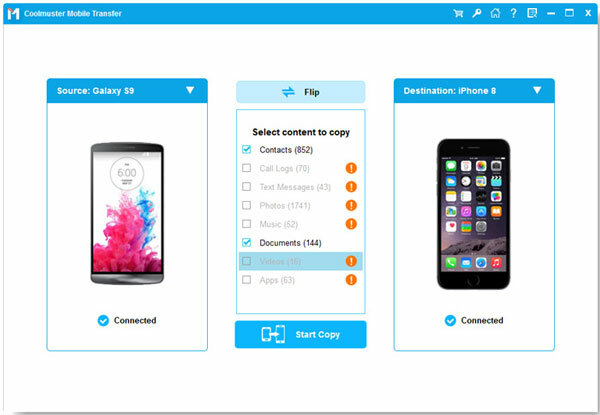 Download the free trial version of the iPhone to Nexus SMS transfer tool on your computer. Then, follow the steps in the below to copy SMS from iPhone to Google Nexus. First of all, install and launch the recommended phone transfer tool and connect your iPhone and Google Nexus devices to the computer via two USB cables. Then, click "Phone to Phone Transfer" section from the program interface. You will see the two connected devices are displayed side by side on the program interface. You can click Flip button to switch their places. Choose "Text Messages" from the file list if you only need to transfer SMS. Finally, you can click on the "Start Transfer" button to begin the SMS transfer from iPhone to Google Nexus. A progress bar in the pop-up dialog tells you the percentage of the data transfer. See, how easy it is to transfer text messages from iPhone to Google Nexus, with the help of this phone transfer tool.